I'm still not chewing like a "normal" person. I've been defaulting to soft bread, pasta and soggy Cinnamon Toast Crunch (paradigm of health, this one). 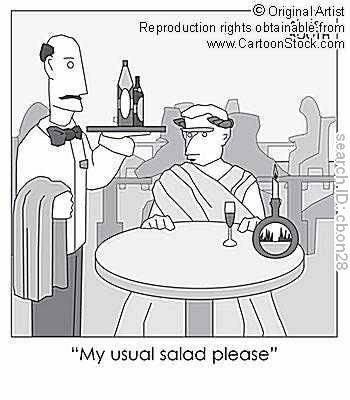 Although I had a caesar salad before dinner today. Since I'm being a bottom braces wuss I barely chewed any of the lettuce before swallowing. This laziness paid off because for the first time in four months I didn't have to pick lettuce out of my top braces post-salad - SCORE!